We had just arrived in Jodhpur after a long day of travel, and we were enjoying a meal at our homestay over looking the city’s magnificent fort, when the manager requested us to come downstairs. Expecting some sort of issue with our booking, my husband went down to see what the problem was. “What was that about?” I asked when he came back up a few minutes later. “We've been asked to be extras in a Bollywood film”. Flying from the south to the north of India, we have traded luscious palm and banana trees for arid desert, rice for wheat, tranquil silence for incessant noise, sweltering humid heat for dry days and chilly nights, a tropical paradise for an Arabian nights-esque adventure complete with camels and royalty. The dead bodies are appearing more frequently these days. On the side of the road, under trees, in puddles after a shower of rain. Lying on their plump bellies, eyes bulging but unseeing. Blue-green marks on their heads, wings shimmering. I know some people who are addicted to big cities. They are enlivened by being in a large city like New York or London. They tell me they feel connected. I often hear the sentiment of “being able to touch the pulse of the city”. I’ve never really had such a visceral reaction to big cities. Living in London is an expensive privilege but I don’t think it is an obvious choice. Let me open on a personal note. Seven years after first arriving in France as a nervous and naïve exchange student, I officially became "naturalised" as a French citizen last month. A few weeks ago at an all-you-can-drink office party a new colleague got up to make his obligatory speech and said that when he was a foreign correspondent he saw that outside of Japan nobody speaks Japanese and nobody knows much about Japanese news. After a few false starts, spring has decidedly sprung in Paris. 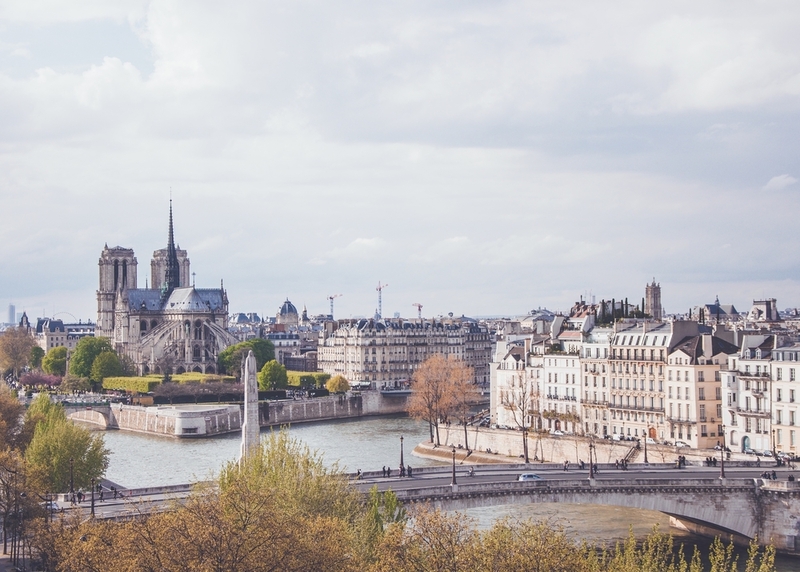 As quickly as the flicking of a switch, the days are long, the sun is shining, flowers are bursting, and Parisians are flocking to terraces, parks and the banks of the Seine and Canal Saint Martin to soak it all in. Winter in Paris has been damp, grey and generally lacklustre. After the shockwave of the November 13 attacks and COP21 in December, January and February have felt uneventful in comparison. It was fairly ridiculous. I was outstretched out alone on the sand last Friday when it struck me once again how good we have it. A mild December has arrived in Paris, but one wouldn’t know that Christmas is just around the corner. The tension from the attacks is slowly dissipating; the city is no longer crawling with policemen, the headlines are moving on, and people are taking the metro to work and going out to bars and restaurants because, at the end of the day, what else can one do? I know I wrote in my last column that winter was creeping into London. Well it has completely abandoned all pretence of gently easing into the capital and has opted more of a shock and awe tactic. It's hot in Sydney. It hit 41 celsius on the weekend. The first hot days of the summer that will be with us in a few short weeks. And I wasn't prepared. I wore jeans and a white shirt. A mistake I think. On Friday 13 November, my husband and I were on holiday in Cape Town, South Africa. At 11:30pm, just as I was setting the alarm for the next morning, an update from the Guardian popped onto phone screen. “Oh my god” I said slowly, then “ohmygodohmygodohmygod”. Autumn has decidedly descended upon Paris; daylight hours are dwindling, the parks are awash with yellow and red, and brisk mornings have Parisians frantically digging out their jackets from deep inside their shoebox apartments. As advertised in movies and Will Smith songs, Miami is hot. Many of us still don’t believe summer ended as the crows from New England, and other snow birds, haven’t yet migrated down to perch on our power lines until March. I’ve fallen in and out of love with New York so many times, that my heart should receive some kind of award for its resilience. We have no door. No bedroom door. In a share house of five having no door, you can imagine, causes some problems. The rooftop bars are closing, cough medicine is on sale and London has decided to give autumn a miss and head straight into winter.